In 1997, a young lady by the name of Kylie Porter branched out from the 100-year-old family business and started her own business – Out of the Blue Marketing. Known for its’ high-level strategic advice, PR, design and marketing, Out of the Blue was the marketing agency that you never knew were behind some of the biggest brands and government agencies in our area. Rebel Marketing was started in 2015 by another young lady, Jade McAuley. Bold, confident and full of… coffee, Jade took a leap, and never looked back. As the businesses merged, it became apparent that a new identity would be appropriate. One that honoured their strong history yet projected a daring and (mostly) fearless future. After quite a few bottles of… lemonade, a decision was made – and Rebel Nation was born. If Out of the Blue Marketing was the traditional, corporate, baby boomer and Rebel Marketing was the boundary-pushing, millennial teenager, then Rebel Nation is the sophisticated, eyes-wide-open, goal-kicking, world-dominating Gen Xer. At Rebel Nation, we provide marketing, design and digital solutions that are 100% in the best interests of our clients. We really get to know you – who your business is, why you’re passionate about what you do and what you want to achieve. Then all we really have to do is help get you there! 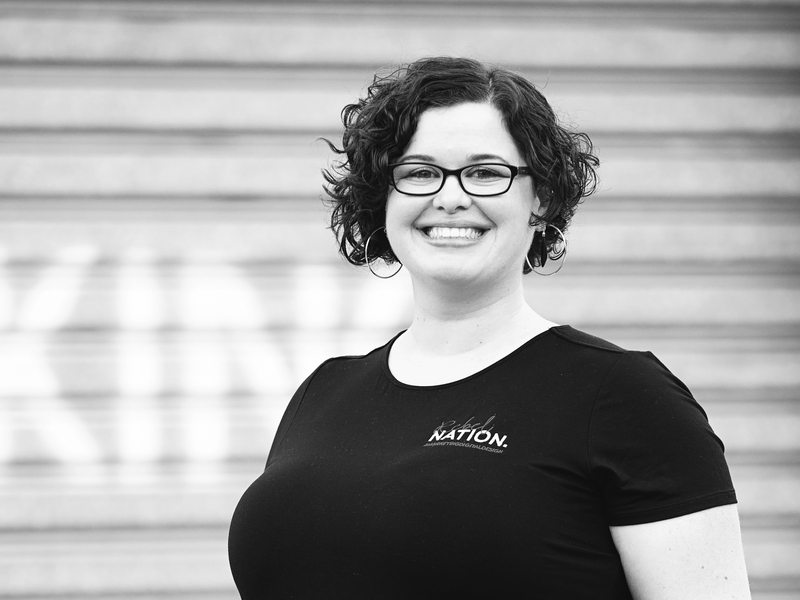 Brains, determination and some pretty sweet tatts, Jade McAuley is the Director of Rebel Nation. She’s a media, marketing and public relations strategist with bold ideas and we-can-do-it attitude. Jade has extensive experience in both the public and private sectors, including more than a decade in marketing and strategic media roles. A passionate advocate of local business and a member of multiple high-profile boards, Jade is the sought-out, game-planning, goal-kicking quarterback that every business wants. Casey is our Rebel design genius… nay, design savant. As our senior graphic designer, she just knows how to transform print graphics into art, and digital designs into glorious masterpieces. It might be because she has more than a decade of experience in design… but it might also be because she is filled to the brim with exceptional talent. Alanna is Rebel Nation’s made-of-gold, salt-of-the-earth, make-it-happen comms + social media guru. She is to co-ordinating what Martha Stewart is to baking. Alanna’s been Jade’s right-hand gal and “sensible suggestion maker” since 2015, ensuring the Rebel wheels turn with meticulous perfection. Kim is a professional marketing consultant trained to unleash the best of your business. And by trained, we mean “yogi-on-top-of-a-snowy-mountain-slash-black-belt-ninja-guru” trained. Kim specialises in marketing consultancy, social media, copywriting and high-level digital manipulation (oops, we mean UX). 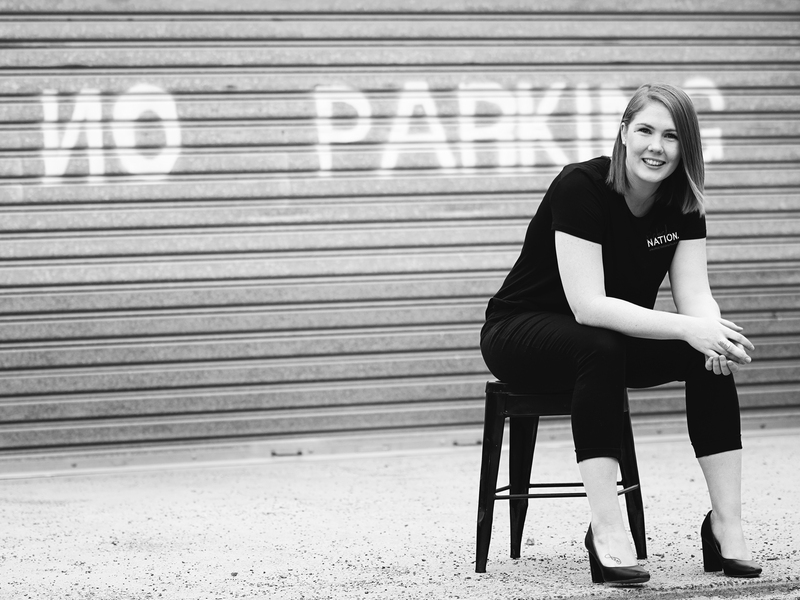 Fiona is a digital specialist with a superhuman talent for websites, coding and design. We say superhuman, because it’s the only way we can explain how Fi can transform a blank, unassuming screen into a work of indescribable responsive beauty and function. Like, how does she do it so well? Her other superhuman talent is in photography, so yep, she’s definitely out of this world. Miki is a creative writer and producer, although creative is an understatement. Her brain is a universe of ideas, flowing uninhibited (and often without a filter) onto the page. We once had a list of all the things that Miki writes, but honestly, it would be quicker to read War and Peace. Let’s just say, she’s in love with words… and Kardashians. Josh is our resident nerd, passionate about all things visual and technology – from storytelling videos to dynamic Facebook covers to whatever the hell the kids are into these days. He brings the millennial perspective to the Rebel team and doesn’t seem to mind an office full of females. Just don’t give him a rotary phone, he’ll use it as a football and break his toe… again.